Introducing our newest roaster, the SF10. With a sleek and elegant design, the SF10 is built with the same dexterity and expertise as our other machines so roast-masters can produce the finest specialty coffees. Both durable and easy to maintain, the SF10 is the perfect showpiece for any coffeehouse or roastery. Roasts 3 lbs. (1.4 kg.) to 10 lbs. (4.5 kg.) per batch with a maximum capacity of 40 lbs. (18 kg.) per hour. 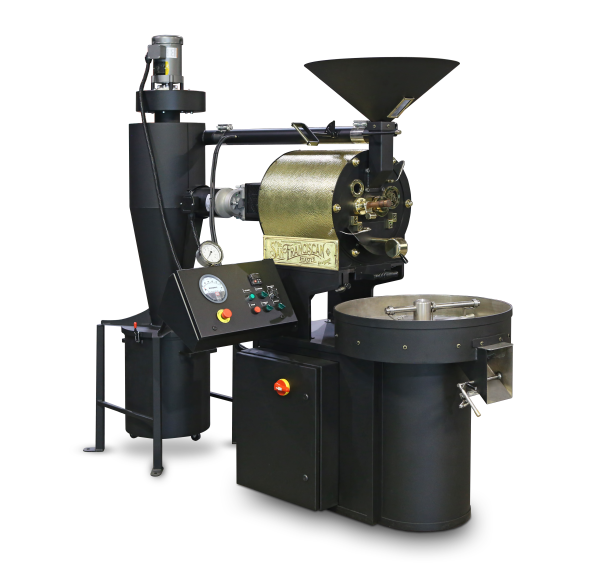 Roaster Dimensions: 88 x 49 x 84 in. / 223.5 x 124.5 x 213.4 cm. Roaster Weight: 800 lbs. / 363 kg.